It´s the last piece of the high street jigsaw puzzle and the most highly-anticipated arrival of the year. 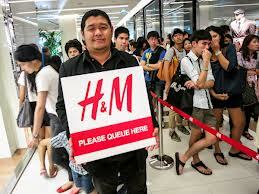 The Swedish retail giant´s arrival shook the structural floor plan of Siam Paragon – a few luxury automobile showrooms had to make way for H&M´s duplex store. The opening was the talk of the town, with the most stellar social personalities, A-list showbiz stars and magazine editors lining up at the tills with baskets full of clothes. Authors: Michael Birshan and Jayanti Kar. About the Authors: Michael Birshan is a principal in McKinsey’s London office, where Jayanti Kar is a consultant. 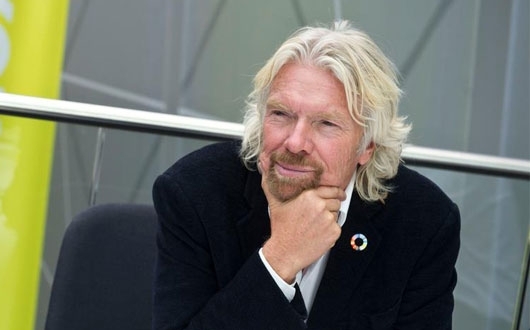 As LinkedIn is a business that started in a living room, much like Virgin began in a basement, I thought my first blog on the site should be about how to simply start a successful business. Here are five top tips I’ve picked up over the years. If you aren’t having fun, you are doing it wrong. If you feel like getting up in the morning to work on your business is a chore, then it’s time to try something else. If you are having a good time, there is a far greater chance a positive, innovative atmosphere will be nurtured and your business will fluorish. A smile and a joke can go a long way, so be quick to see the lighter side of life. 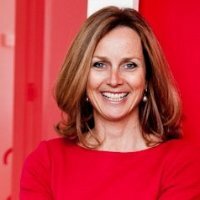 According to the American Society of Training and Development, U.S. businesses spend more than $170 Billion dollars on leadership-based curriculum, with the majority of those dollars being spent on “Leadership Training.” Here’s the thing – when it comes to leadership, the training industry has been broken for years. You don’t train leaders you develop them – a subtle yet important distinction lost on many. Leadership training is alive and well, but it should have died long, long ago. 14. Training focuses on problems – Development focuses on solutions. Would you like to become a great communicator? Powerful reasons exist for why you will want to enhance your ability to communicate effectively interpersonally. You will create more opportunities to accomplish your work mission. You will build better and more rewarding relationships with your coworkers and manager. 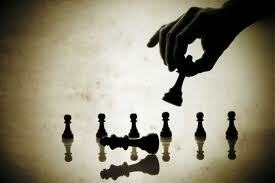 You will accomplish more goals with less energy and reduce the opportunity for misunderstandings and cross purposes. Build the relationship first – always. When a great communicator approaches a coworker, he takes the time to say, “good morning” and “how’s your day going?” “Did you have a great weekend?” The effect of the relationship-building forays is incalculable. He sends the message, each time he communicates, that he cares about the receiver of the message. He demonstrates that, no matter how busy or overextended he is, he has time to care about you. Practicing this behavior was difficult for me at first because my tendency was to jump right into the business discussion, but I’ve never regretted that I took the time to remind myself. My internal call greeting became, “Hi, this is Susan.” Build the relationship first for successful communication. For even more successful communication, continue to build the relationship in all interactions in any setting over time. Good will has an accumulative effect. Obtain the knowledge, insight, and forward thinking ability necessary to earn the respect of your colleagues for your industry or subject area expertise. Your coworkers won’t listen if they don’t believe that you bring expertise to the table. Your successful coworkers spend time with you because they respect your knowledge and the value that you bring to the conversation. They don’t respect or listen to, let alone be influenced by, individuals who do not know what they are talking about. So, when you think about secrets of great communicators, subject matter expertise may head the list. I received feedback recently that a manager held a performance development planning meeting with an employee and talked 55 minutes of the hour. This is an egregious example of a manager dominating a discussion, but it serves as a reminder. Great communicators listen more than they speak. 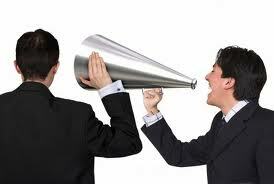 When they speak, they are frequently asking questions to draw out the knowledge and opinions of their coworkers. Focus on understanding what the other person is saying. Feed back what you understood the other person to say. Say, here is what I heard you say and repeat the gist of the content of the message that you received from the other person’s communication. Don’t ascribe meaning to your coworker’s communication. You are using a feedback loop to check your understanding and to make sure you shared meaning. When you check your understanding, you avoid miscommunication and misunderstanding. You circumvent hard feelings and protracted explanations about what your coworker meant. Listen to the nonverbal communication the other person exhibits. 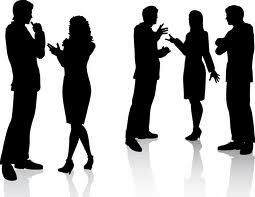 Nonverbal communication is a powerful voice in any interaction. The voice tonality, body language, and facial expressions speak more loudly than the verbal communication (sending) or the actual words in many communication exchanges. Your coworker’s posture, how he holds the white board marker, and his distance from you as he speaks are all powerful messengers. This is why you find that great communicators seek in-person interaction. They know the amount of information that they lose when they communicate via email, phone, IM, or texting. The youngest generation at work may not recognize the importance of talking with coworkers in person. They are enculturated to use electronic methods and this must change. For facts, these methods work. If you want information that is richer and deeper, and for discussion and exchange, you seek out your coworkers. Great communicators listen with their eyes. Watch for patterns, inconsistencies, and consistencies. In any communication, the opportunity for misunderstanding is ever present. A key indicator that your coworker is not stating her true feelings or that she is going along with the group, rather than agreeing with the decision, is a combination of factors that you can observe. You want to watch for patterns (is this how your coworker typically reacts) and inconsistencies (is this consistent with what you expect from this person). You also want to watch for matching words, message, tone of voice, and body language. If any of these verbal and nonverbal communication factors are inconsistent or sending different messages, communication failure is imminent. Coworkers tend to listen to the nonverbal communication over the verbal. If you are coaching an employee who sends inconsistent messages, this is a powerful factor in the misunderstanding that can happen with coworkers. It’s simple, preventable, and often overlooked as a key factor. If something that another employee is doing or saying bothers you, remember that it is your issue to own and not his. You are the person who is bothered by the action or communication of your coworker. His actions or communication may have triggered your reaction, but the response belongs to you – not him. You will never effectively communicate if you are pointing your finger and trying to make it your coworker’s issue. He was just trying to communicate. You need to take responsibility for owning your own emotional reactions. Use I messages to demonstrate that you know that you are responsible for the reaction. For example: “You really messed up that customer interaction” is much less effective and honest than, “I was upset watching you interact with that customer for these reasons…” You-ing a coworker is rarely effective communication. You will most likely receive a defensive response which makes the communication fail. Delivering an honest I message instead is powerful. If you are going to say anything critical or controversial, or if you’re angry or emotional, wait 24 hours before you say it, send it, or post it to see if you still feel that way. Pausing before communicating is an underappreciated skill of great communicators. You don’t need to communicate what you think or feel immediately. In fact, your communication will be more powerful and thoughtful if you allow the circumstances to marinate for a period of time. New ideas live or die in their first communication to a person who has power in an organization. Using the other communication skills presented here, you can make a new idea flourish or fail – in an instant. Rather than immediately rejecting a new idea, approach, or way of thinking, pause and consider the possibilities. Consider what might work in your organization rather than what will fail. Think about the possibility rather than the impossibilities. All communication will go better if your coworker trusts you. It is not enough to be a good listener and to draw out the other person’s opinions. They will not level with you or share their real thoughts if they don’t trust you. You gain trust in your everyday interactions with people when you tell the truth – even when it’s difficult. When you consistently exhibit integrity and trustworthiness in your daily interpersonal conversations and actions, you build your ability to be a great communicator. The coworkers with whom you interact will open up to you. They will be more likely to problem solve with you without concern for losing, and they won’t fear looking bad, stupid, or uninformed if they trust you. Do you see the power for communicating when you have the other party’s trust? It’s amazing. The benefits start with you and extend to everyone on your team. As a Navy SEAL, I learned that physical and mental strength were essential for survival. During training, our instructors knocked us down every day, all day. To survive, we learned not only how to get back up, but how to get back up and fight harder. The only way we could do this was to be in top physical condition. If our bodies broke down, our minds and our determination to succeed were not far behind. Many good Navy men did not make it through SEAL training because they weren’t quite physically hard or mentally strong enough. In a fast-paced entrepreneurial organization, leaders need to be healthy, confident, and driven in order to move the company forward. Better fitness leads to better leadership. Similarly, a healthy workforce will be more likely to help fulfill the organization’s mission, vision, and goals. 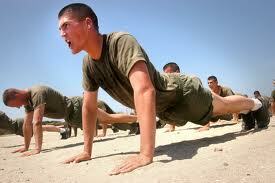 Being in better physical condition will give you and your team more energy. Encourage your staff to work out during their lunch break or go for a walk during the day. You might lose a few minutes of their time, but the result will be more energetic harder-working employees. Good fitness reduces stress by increasing the production of endorphins and improving your mood. Less stress will lead to happiness, focus, and productivity. Educate your team on the positive benefits that physical activity has on mental wellness and stress management. People who make fitness a part of their lives generally have more self-confidence. A greater level of confidence will lead them to achieve great things within the organization. Maintaining a healthy lifestyle will improve your immune system and decrease the likeliness of illness. That translates to more productivity and lower health care costs. When people make fitness a part of their routine, it usually means they have a pattern of setting and achieving goals. Encourage your team members to include physical and mental health in their goals. Fit people make better leaders, for all of the reasons listed above. We need to develop leaders within our organizations. By encouraging wellness, we are more likely to develop hard chargers ready to step into demanding roles. A culture of wellness and fitness will encourage teamwork and a solid work/life balance. At my company, we participate in club sports, we have recess every Thursday, we occasionally have “Biggest Loser” competitions, and I run a boot camp once a week. If you want a top performing team, you need to lead by example. Get out from behind your desk and start moving. .. av alla på arbetsplatsen bryter mot företagets IT-policy! Bland 80-talisterna är det varannan. Allt enligt Manpowers undersökning Work Life. 1. Failing to engage emotionally. You risk losing your audience when you just “state the facts,” even in a business setting. 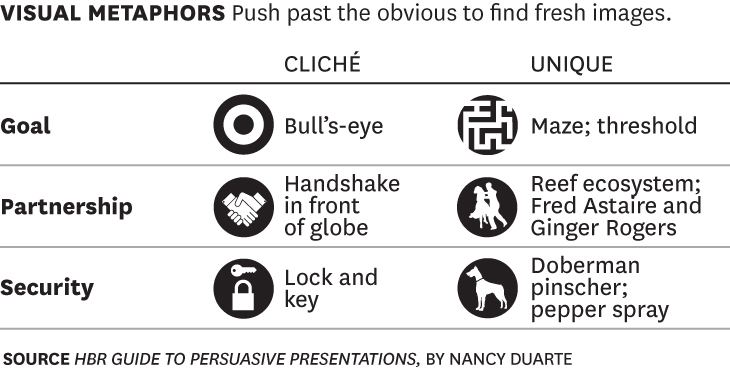 No presentation should be devoid of emotion, no matter how cerebral the topic or the audience. Speak to people’s hearts as well as their minds. Look for ways to add emotional texture to your exhibits, data, proofs, logical arguments, and other analytical content. Try opening with a story your audience can relate to, for example, or including analogies that make your data more meaningful. 2. Asking too much of your slides. 3. Trotting out tired visuals. Nothing gets eyes a-glazing like a visual cliché. Want your presentation to stand out (in a good way) from the others your audience has seen? Brainstorm lots of visual concepts — and throw away the first ones that came to mind. They’re the ones that occur to everyone else, too. That’s why you’ve seen them a million times in other people’s presentations. Generate several ideas for each concept you want to illustrate, and you’ll work your way toward originality. Have you ever listened to a presenter who sounded super-smart without having any idea what she really said? If so, the presentation was probably full of jargon. Each field has its own lexicon that’s familiar to experts but foreign to everyone else. Unless you’re speaking to a group of people who are steeped in the material themselves, you’re better off avoiding highly technical or industry-specific language. Use words that will resonate with those whose support and influence you must earn. If they can’t follow your ideas, they won’t adopt them. Consider whether your presentation passes the “grandmother test”: If your grandmother wouldn’t understand what on earth you’re talking about, rework your message. 5. Going over your allotted time. There’s nothing worse than a presentation that seems like it will never end. A great talk goes by quickly. People in your audience will never scold you for ending early, but they certainly will for ending late. So treat the time slot assigned to you as sacred. And keep in mind that people have a 30- to 40-minute presentation tolerance (they’re conditioned by TV shows with creatively produced commercial breaks). Go longer than that, and they’re sure to squirm. Author: Nancy Duarte . 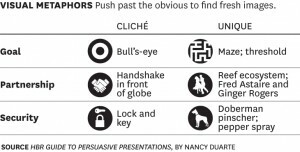 This is the seventh and final post in Nancy Duarte’s blog series on creating and delivering presentations, based on tips from her new book, the HBR Guide to Persuasive Presentations. In reality, there is nothing “soft” about the skills needed to relate to people well enough to lead them. True leadership involves both hard skills and harder skills. Here’s what I mean. “Hard skills” are often thought of as the occupational skills necessary to complete the tangible elements of a job. A software engineer needs to know certain languages to build applications; a finance director needs to know how to balance the books; and a waiter needs to know how to take a dinner order, place it with the kitchen, and deliver the meal to the table. “Soft skills” can be seen as the behavioral ways in which people go about their occupational tasks. How does the software engineer collaborate with fellow engineers to unpack hidden technical challenges? How does the finance director interact with colleagues to glean the meaning behind the numbers? How does the waiter engage with guests to make their visit a memorable occasion, and not just a meal? Hard skills can get the job done. Soft skills make the difference between a job that gets done and a job that gets done exceedingly well. Leadership requires a sophisticated approach to both. That’s even harder. Leadership has its own set of occupational skills, such as the ability to synthesize data; the clarity to make timely and informed decisions; the capability to define priorities and goals; and the aptitude to see situations from a wide, organizational perspective. On the behavioral side, leadership requires an exceedingly high degree of skill in working with and for others, holding others accountable to their commitments, and marshaling others to work together while following you into the future. Unfortunately, many leaders fail to embrace leadership responsibilities and instead busy themselves with non-leadership tasks – the work their teams should be doing. We see this in the vp of engineering who monitors engineers checking in code; in the CFO who insists on completing the routine details of closing a sale; or the sous chef who won’t let each station chef work independently enough. The more your role involves leadership, the more your job must focus on blending the occupational and the behavioral, the technical and the interpersonal, the hard and the soft. 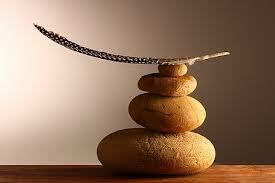 If you cannot achieve this internal balance, your organization will suffer a similar lack of equilibrium. This balance can be exceeding difficult, because many people define themselves by their ability to be experts in their occupational skills while viewing behavioral skills as secondary or incidental. In this way, especially for leaders, traditional “soft” skills are harder to get right. Many leaders end up over-compensating. We’ve all known the leader so focused on goals that she is unable to relate to her people, or the leader who can’t focus enough on goals because he wants to avoid the tension required to unite around a shared purpose. A good approach is to recognize and accept that 1) the occupational skills of leadership are much different than those of everyone else, and 2) because leadership at any level is necessarily about other people, leaders must be aware of their behavior, and be visible to others, in ways that non-leaders don’t have to be. This is one reason that leadership behavior is harder – as a leader, you don’t have the convenience of behaving only for yourself. You must behave for others. 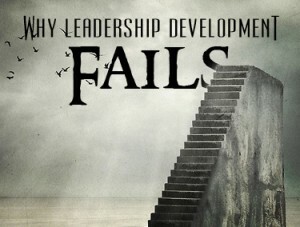 Many leaders fail, or fail to develop, because they are stuck in an old mindset and continue to act for themselves. Ultimately, leadership is hard because relating to people is challenging. It’s that simple. Here are three tips for improving your harder skills. 1. Admit that inter-personal skills are important. I have worked with leaders who resist improving their inter-personal skills because they fear it shows weakness to superiors, peers, and subordinates. This is hardly a helpful path for developing better leaders, as it denies the basic truth that if I expect to lead others, I must first be able to lead myself. Don’t be afraid of this work. 2. Rethink your definitions of “hard” and “soft” skills. It is difficult to identify how our default behaviors and habits affect others. Learning to make different or new choices requires the structure and support of a good coaching process.